So, quite a few crafty things happened today. First off, I found myself in the newsagents, looking for some inspiring supplies, maybe even look for a knitting or needle felting magazine to look at. There wasn’t much in the way of anything but scrapbooking and card making. There was one cute one with a birthday themed embossing folder, and mini stamp set to match, but it was rather specialised, so I put it back. I then found two large packaged magazines, each promising a large amount of items for a smallish amount of money, certainly less than it would have been worth for the items alone. I couldn’t decide which was better, so I bought both. This was a good decision, as the one I was thinking to put back ended up with a huge amount of gorgeous fairy stamps inside. 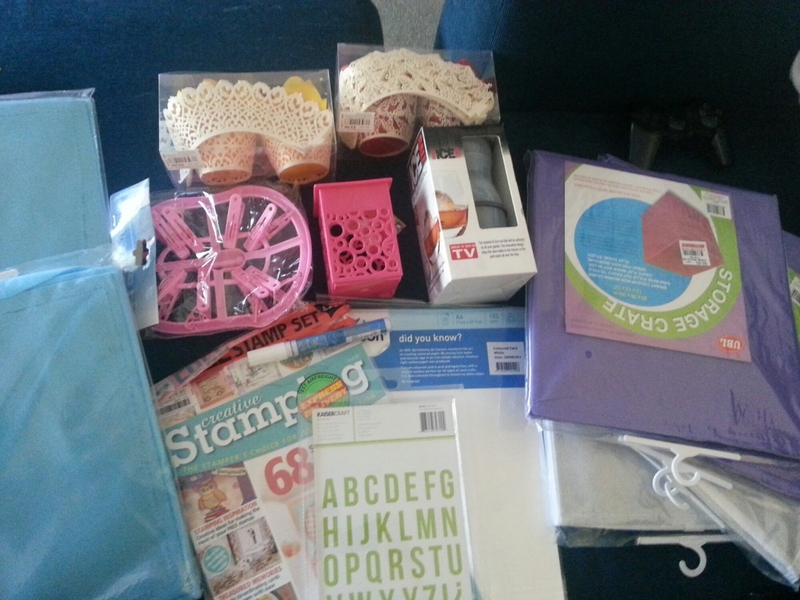 All up, I received seven sets of stamps, four magazines, some paper, a pile of card bases, ribbon, quilling paper and tool, cutouts, rhinestones, templates and a small baggy of gold glitter. It all made me feel a little less guilty for spending the money. I spent a large part of the day needle felting. I made some beads (small balls), balls (medium sized balls) and worked on the face of my doll (small balls on a larger ball.) I learnt a couple new things on YouTube, such as when adding detail, stab shallower, but more, so it doesn’t all just cave in on itself. Another thing I learnt was that you can wrap the wool around objects to create tubes and shapes to help build up features. I also found out what carding is (mushing various wool with brush things to make roving or a batt of wool.) I tried this in small scale with a cat hair removal brush and the jeans I was wearing. It worked ok, but since I mixed dark green and yellow, and it isn’t paint, it looks a bit mottled, but I still like it. I’ve begun adding skin to my doll, and it looks like a diseased zombie. I used a mustard colour to add the bumps, and its peaking through in some places, which is icky. I’m worried, as the wool is already thick and getting hard to puncture, even with a fine needle, and I have a lot of work to do on the face. I decided the other day that I wanted to make a meme about crafting upsets, and things, so I needle felted a mascot for this, I just need to photograph him. Although, now I know a bit more about making faces, he could do with some brow bones. The five needle tool, that I spent a bunch of money on yesterday, is quite annoying. It has a safety guard that seems to limit movement, and doesn’t help stabbing injuries, unless you were to hold the needles side on (which doesn’t happen,) it had a loud piece of metal designed to keep the needles in place, but it bangs every time the needles go in. Even with five needles, it doesn’t seem to do better than one without the handle. I had to replace the fine with heavy, and add my original needle, with a lot more notches, to get it to do anything practical. 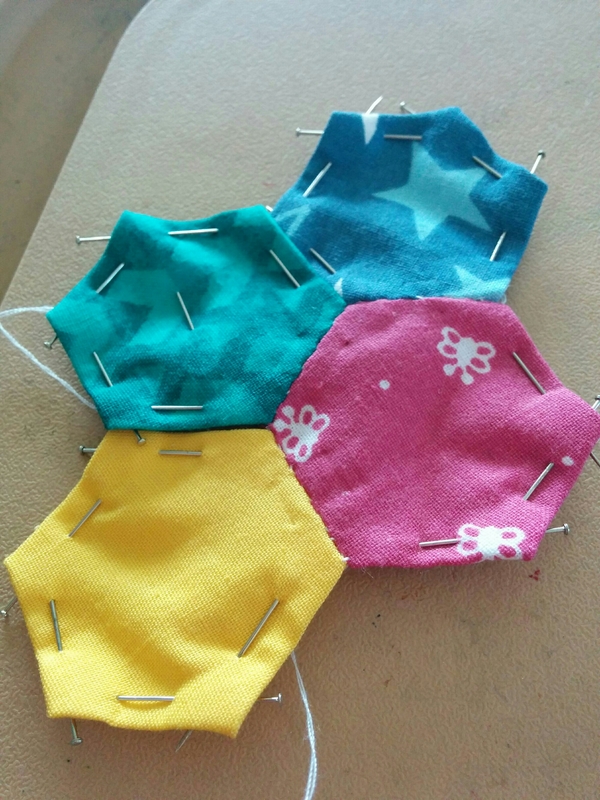 Even then, there’s not a lot I can use five needles on in small scale. I should have waited, and got the three needle Clover on that I had my eyes on, but couldn’t find. It won’t go to waste, especially if I do any bigger projects. I really need to put nail polish on the ends. There is no easy way to tell each felting needle apart, and is recommended to colour code each type. It’s so nice to be able to concentrate on craft for a while. If only I didn’t have so many projects that I’m torn between at the moment. My house is getting messy again. So… I went shopping and got way over my carrying limit. Hope I’m not too sore tomorrow. But I did get all the cubes that I wanted for my book cases. I originally thought I’d get pink, blue and green, but they didn’t have green. I ended up with pink, blue, purple, black and white, which are all nice. They do need to be aired out, as they smell badly. I also bought a letter die set from kaisercraft, which is nice and versatile. I was tossing up between this and a grass edge punch, but I’ll have more uses for this. I was a bit shocked to find a magnetic sheet within the packaging, without notice of it. If I had rested it on my computer, speakers or phone (anything with memory storage or magnetic parts) that could have been devastating. I know this is a common way to store them, but I’ve never bought dies that come with the magnetic sheets. Some notice would have been nice. I got more white card. I tried looking for a hundred pack, but they only had them in every other colour. I will continue this quest another day, for now I will battle on with this small pack of 25. I decided to get a magazine, since I haven’t bought one since before Christmas, and the stamp set that came with it was so diverse and pretty. It had a whole page with sentiments, hearts, babies, bride and groom, keys, a typewriter and more. I’m slowly getting all my stamps into a folder (as told previously) and it might go quicker bow that I have a clean desk…for now. I found a white paint pen for cheap, which I can use for labeling dark things, or to put highlights and sparklies on images. It says they write on ceramic, so I might have to play with that later on. As I was hobbling out the shop with my twelve boxes (so heavy! ), I came across some lacy paper cupcake sleeve things. I’m not the best at baking, but I didn’t think of these for cakes. I was drawn to the butterfly pattern, but there was two for five dollars, so I found another quickly, a lattice design. 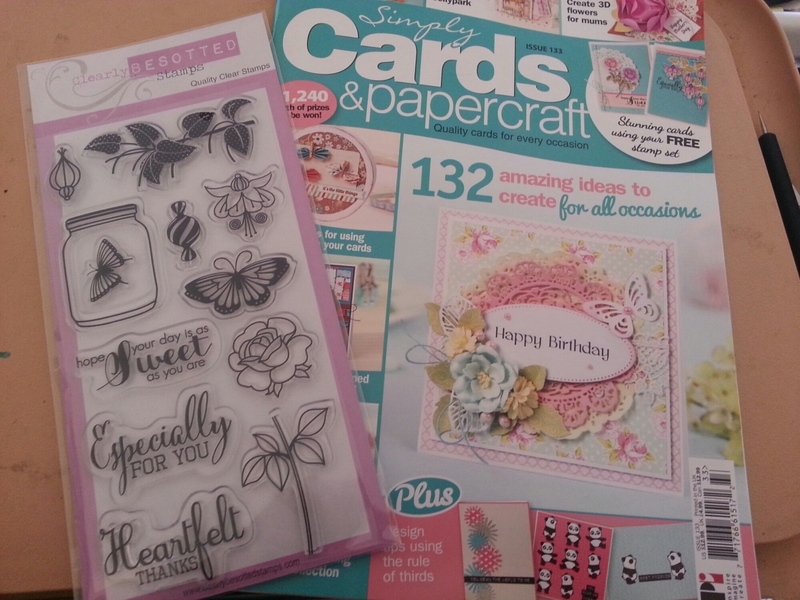 Apart from just sticking these to a card, I could cut out the butterflies, or use these as stencils. I try to think of at least two uses before I buy something, and this passed that test. I’ll just put them in the pile with all the other things to do. A lot of taping up cat food boxes today. My assembly line is looking good. 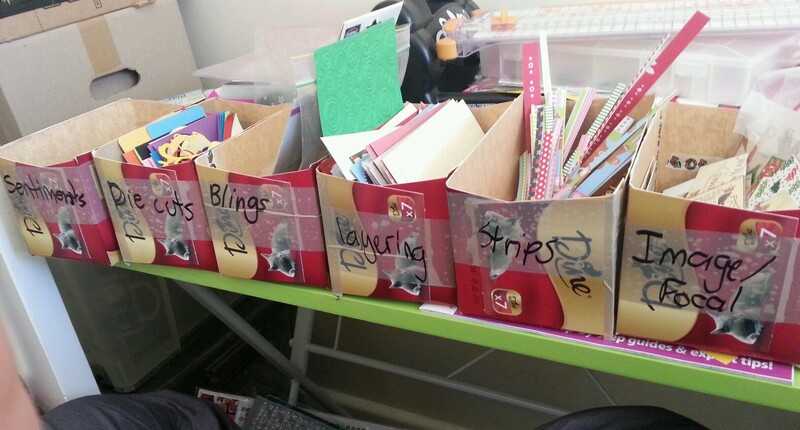 I need to add card bases, ribbon and finishing touches boxes. 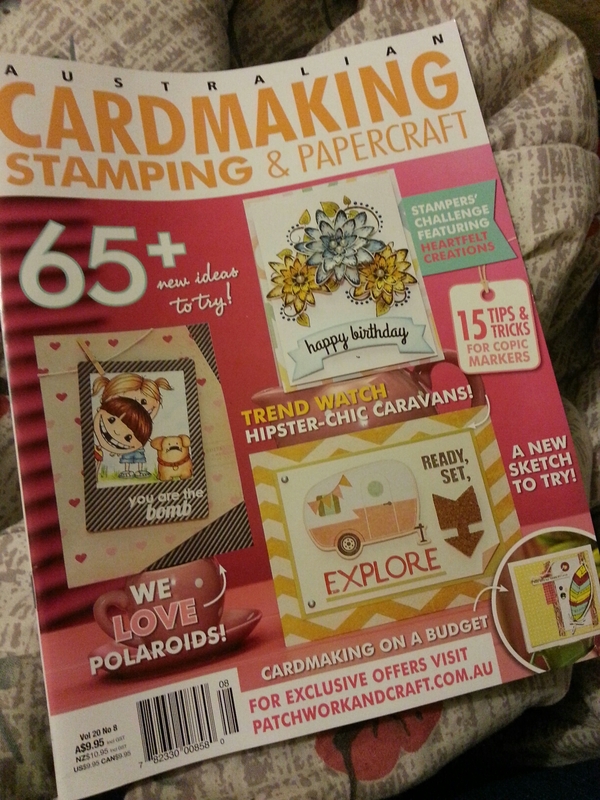 I bought another magazine today that says it has all I need for my Christmas cards, including stamps, embossing folders, papers and a bunch of images and sentiments to cut out. 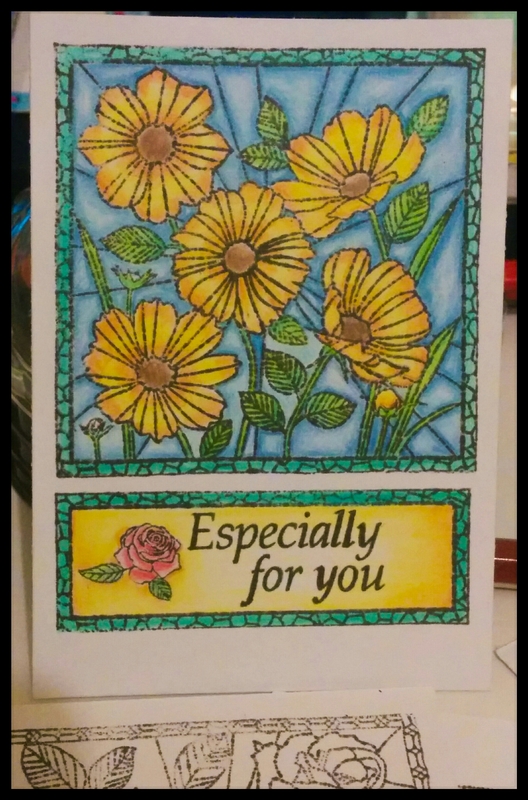 They have a few paper tole/decopage images that will be fun to put together. I have a lot of fussy cutting to do. I need to get cracking on these cards, as I would like to send some out at a reasonable time this year. Shopping day! I know I said I’m plenty stocked in the supply area, but I did need some watercolours. I picked up a magazine- Quick Cards made easy. It was the April edition, but its UK based. Not sure why it was there nearly three months late though. With the magazine I received a small pack of papers. I actually looked through all the gifts that come with the magazines to see what I’d like, then get the magazine as a bonus. They had a few with paper packs, but the butterflies in this one caught my eye. I’ve been a bit obsessed with butterflies lately. I even bought tissues that had butterflies on the box. The watercolours I got was a Reeves set of 12. They didn’t have the watercolours in the 36 pack, but this should keep me going. Twelve is much better than three. I got some bright card in lovely bright warm colours, a pack of small punches and some pretty brads. I didn’t go overboard on suppliesand am trying to think of storage solutions. Some shelving units or bookcases seem like the best way to go, as I’ll be able to store boxes and papers without having to dig to the bottom of a pile. So many creations, so little time. Weird. Apparently, my last post didn’t publish, so that’s why there’s two now. I was browsing my local newsagents when I came across a magazine that piqued my interest. 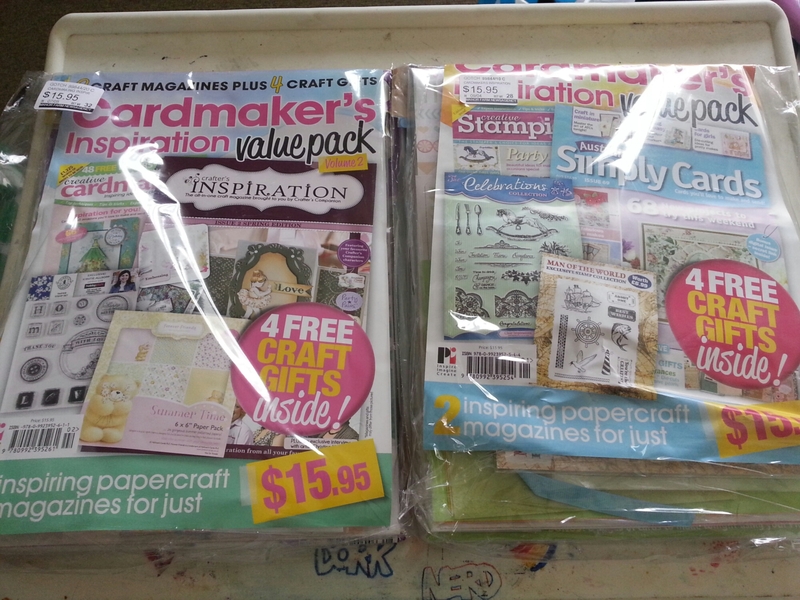 I don’t usually buy crafting magazines because I can find more information online for free. 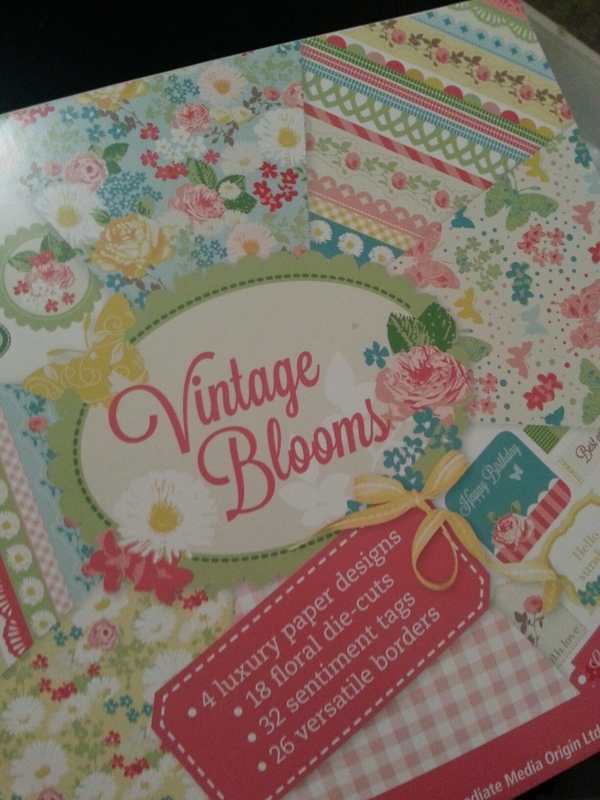 But this had an embossing folder and was fairly cheap for a magazine. When I was reading through, I found that there are so many Australian websites for supplies advertised as well as some useful tips that made the purchase worth it. It even made me consider a subscription. One weird thing was the embossing folder was Christmas themed, which is a little weird for this time of year but it won’t go unused when the time comes.